One concern administrators, teachers, and parents express when our team wants to assign a student an iTouch or an iPad, is how they will manage the built in distractions. Distractions like students surfing the web during class. If the iDevice is for a specific function such as tracking homework, following a schedule, or a aug comm device, this is easily fixable. 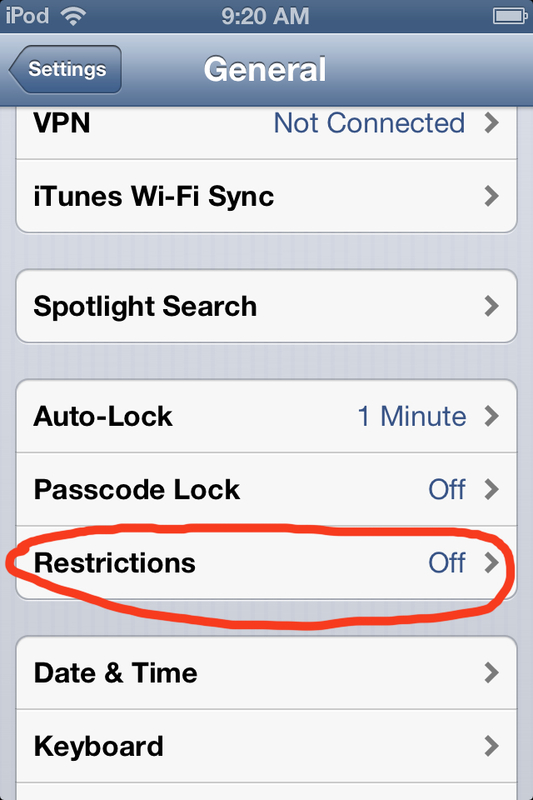 The iDevices have a built in "Restrictions" utility that lets you remove different functions. Let's get rid of some the unnecessary and distracting apps. Begin by clicking on the "Settings" icon. Then click on "General", and then click on "Restrictions". You will be prompted to create a "Restrictions Passcode". Write it down somewhere if your not confident you will remember this! Otherwise the only way to override this is to restore the iDevice to the factory settings, thereby losing any materials you have on the device. After entering your passcode twice, you will be presented with a page of options. We often turn off Safari, iTunes, as well as the ability to Install or Delete the apps. With some students turning off the ability to delete apps is really important! I cannot recount how many times a device has come back to us that has "mysteriously" lost a bunch of apps! When you go back to your "Home Page", you notice that the Safari and the iTunes icons are gone. Depending on the student goals, we may remove the FaceTime Camera as well. So there you go! Pretty easy to reduce unnecessary distractions for our iDevice using students! Edudemic! What a great blog! "School administrators should be explaining to their constituents that the iPad supports essential skill areas — complex communication, new media literacy, creativity, and self-directed learning. Instead of focusing on the convenience of ebooks, they should instead be emphasizing the incredibly immersive and active learning environment the iPad engenders and the unprecedented opportunities to develop personalized, student-centered learning. They should highlight some of the beneficial consumption, curation, and creativity activities the iPad facilitates — as well as the student empowerment it inspires." Love this article! Excellent for gen-Ed and special needs! Educators, parents, therapists, teens, people! Have you met TED yet? TED of TED Talks? 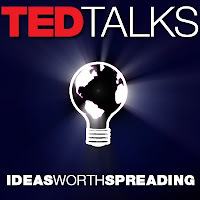 TED is a video library of great thinkers and doers giving a 10-15 minute talk of their lifetime about their passion. 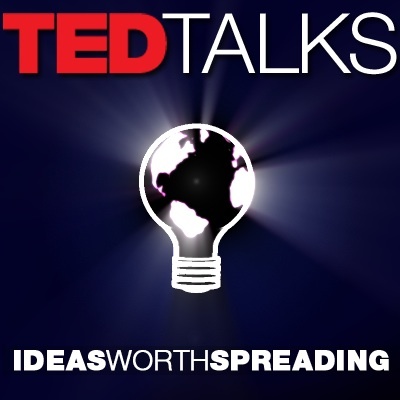 TED is a nonprofit devoted to Ideas Worth Spreading. It started out (in 1984) as a conference bringing together people from three worlds: TECHNOLOGY, ENTERTAINMENT, and DESIGN. TED's mission statement is: "We believe passionately in the power of ideas to change attitudes, lives and ultimately, the world. So we're building here a clearinghouse that offers free knowledge and inspiration from the world's most inspired thinkers, and also a community of curious souls to engage with ideas and each other. So you see the topics range far. Some are uniquely funny. Other's inspiring. All though provoking. I would love to know what your favorite TED Talks are! The focus of Shinobijimbo: TechNinja is often about how technology helps children access their curriculum. But the necessary underpinnings for my interventions to work are that the child understands how to participate in their many varied communities. If you work with or have children ages 3 to 8, Acorn Dreams is a terrific website with quick and easy concepts for raising children. Their agenda is to be "a resource center and store for practical tips and research-based materials that help foster children’s positive behavior and lay the foundation for success in school and in life." Sounds good to me! I really like the section "In a Nutshell: Quick tips to help Grow Children's Skills". With header tabs such as "Healthy Habits", "Self-Control", and "Social Skills", the reader can get quick tips to facilitate such skill growth. As an Occupational Therapist, I can definitely see sharing these Quick Tips with teachers and parents of the students I work with! The other segment of interest is the Acorn Dreams blog which is fairly new, but already filled with some interesting topics. The first few blogs consider the use of praise and also weight issues. These articles are succinct, and evidence based. I'm looking forward to reading the next blog articles. Acorn Dreams is really designed with the typically developing youngster in mind. 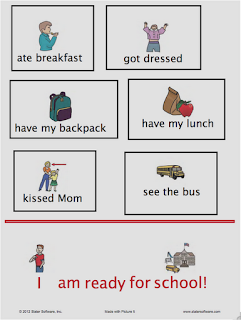 However, so many of the ideas are generalizable for our students with special needs. Take a look at it! Here's an effective video. Share it with your teens, young adults, and if you're like me... with yourself. Some of this is a rehash of recent blog articles. But this time it's in action. I hope to report any stumbling blocks we encounter as well as our success. We have an eighth grade student who we will refer to as Joe. Joe was diagnosed with Cerebral Palsy, and Autism. Both are relatively mild, but still hinder his ability to write quickly and effectively. He is a fairly bright young man, and wants to do well. Joe is mainstreamed throughout his day, and receives some resource services, and Occupational Therapy services. As a middle schooler he is asked to record his homework from the board, as well as take notes of the board. His mother has expressed frustration that he often comes home and neither he nor she can read his notes. They are non-functional. Despite this, (and to her credit) she wants him to be responsible for gathering this information, and not to rely on others to do it for him. 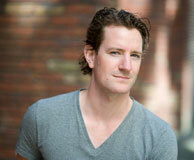 The plan is to set Joe up with a blog, which will serve as the repository for all his notes. He will use an iTouch to take pictures of his homework, and any board notes. Joe will publish the snapshots onto the blog. 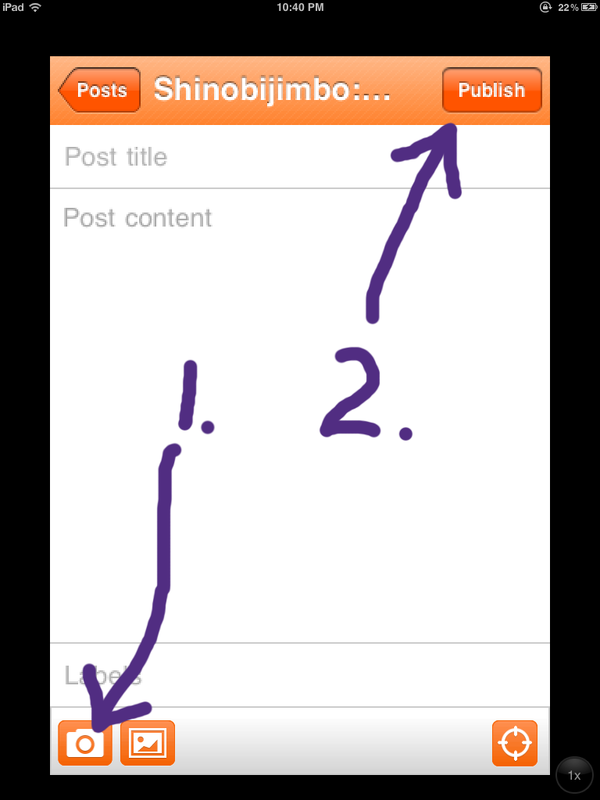 Refer to this blog for a quick look at the app Blogger. Week 1: Joe's Occupational Therapist and I introduced the iTouch to him. We taught him how to take snapshots with his iTouch camera. We specifically taught him how to stabilize his elbows on his desk to keep the camera from shaking. We have asked his classroom teachers to put up a "tape boarder" on their white boards to give Joe a target to aim around. We also taught him how to email the photos to his personal email address. Refer to this blog for more on this process. In addition, we taught Joe how to use Dragon Dictate on his iTouch and email that to himself, incase there are any short notes he wants to record. None of you will be surprised to hear that a middle-schooler was quite comfortable using an iTouch! Joe will use the camera and Dragon Dictate in this capacity for a week. He will photograph his homework and notes only. We've discussed privacy issues, and he understand that he should not photograph peers. Week 2: Assuming that Joe has had success using the camera and emailing photos and dictation to himself, we will teach him how to use the app Blogger. This involves opening Blogger, clicking on the camera icon in the bottom, taking a picture, and than clicking the "Publish" icon. Similiarly, we will have him copy from Dragon Dictate and paste into Blogger any dictated content, and then click "Publish". I have already setup a Blogger blog. I used this blog service for a number of reasons. 1. I'm already familiar with it... it's what I use for Shinobijimbo, 2. 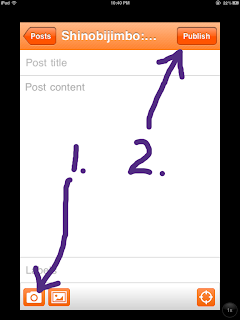 The Blogger app is really simple and free! 3. Other blogs undoubtedly offer this, but I can lock down who the blog is available to. We wanted only Joe, his family, and select teachers to be able to access the blog. You may be more comfortable with another program. Ideally, Joe will be able to publish all his homework for each class. Each will have a date. If you look at my blog, on the right you see hyperlinks for articles by date and name. If Joe titles each entry it can be really easy to reference. He won't have to store dozens of photos on an iTouch, or emails on his account. He will have a running record for the year. Joe will be able to access this information from any internet-connected computer. I made an email account and a blog account for Joe. It felt important to get permission from the family to do this. I gave them the passwords, and encourage them to take ownership of both accounts. They can change passwords if they choose. Students need to know that they cannot photograph other students without written permission from those student's parents. Best to just avoid. I locked down the blog account. It does not appear in google searches, and the only way someone can access it is with an email invite. Teachers need to be onboard with Joe taking his iTouch out in the middle of class, and snapping photos. With the knowledge that this is an academic tool for him, all our teachers were supportive. It helps to have someone who will work with the student periodically to make sure they are learning the necessary skills to make the whole program work. Don't just dump the whole idea on him/her at once. Build the component skills one at a time: learn to take the photos. Learn to email them, learn to use the Blogger App. When it all comes together, the student should have a really elegant and easy to use plan in place to get his home-works assignments home. I'll report back after we have some experience. Guided Access! Apple finally delivers! 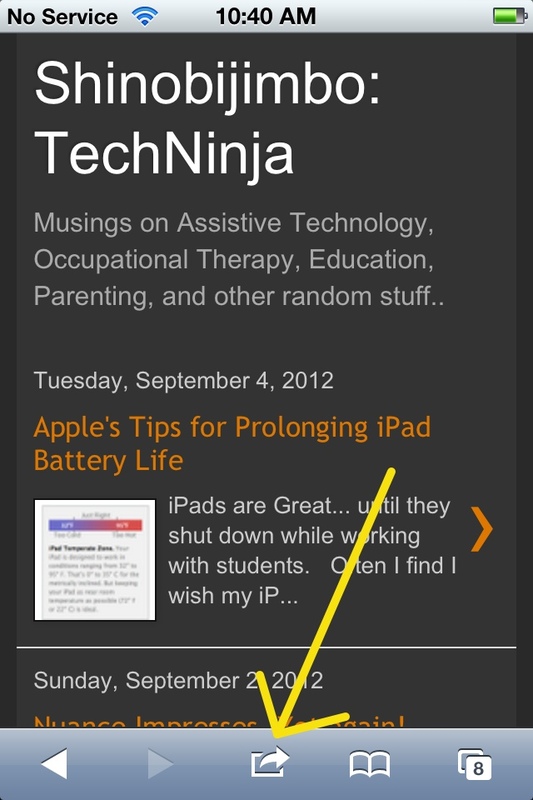 If you follow my blog, you may remember an article I wrote called "Disable the Home-Button on your iDevice!" I was soooo pleased with that bit of code writing (which I had nothing to do with writing) and that I was able to bring it to users. Well, with the new OS update that code is no longer necessary! "Okay, so if you've worked with students using an iDevice, you've had the experience of them hitting the home button to "explore" before you were done with the lesson. Oftentimes undoing whatever progress they were making. Very frustrating, and thus creating our Love/Hate relationship with the "home" button!" 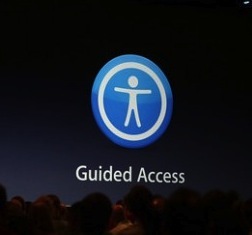 Apple's latest update OS 6 now offers a feature called "Guided Access". Guided Access addresses the issue more elegantly than I could have hoped for. Just click on Settings. Then click on "General" Down towards the bottom click on "Accessibility. 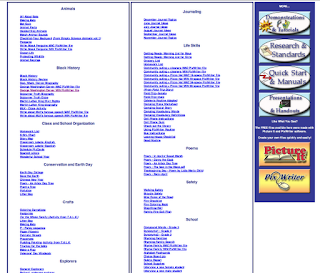 Then, under the "Learning" category click on "Guided Access". You will be given clear directions on how to use this function. Follow the prompts and you will be delighted by how easy you can use the function. In addition, when setting up the Guided Access, you can designate aspects of the app which will not function, allowing you to control your instructional session precisely. Refer to the video below to see this in action. Teachers, therapists, and parents have been asking for the ability to disable the home button for some time. 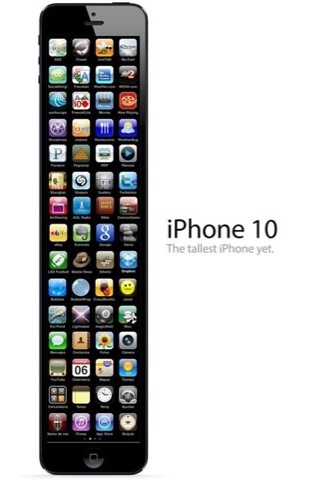 Apple heard us, and went above and beyond what we wanted. If your still using an iPad-1, alas, this OS update is not for you. But, you can still use the code from aforementioned article. Evernote goes everywhere! Tablet, phone, desktop, or laptop, syncing across devices and platforms effortlessly. Evernote is a powerful app/program that is designed to be installed on all your devices. Enter data in one, and it automatically syncs to another. I have it on my desktop, laptop, and iDevices, and I've linked some files with my co-worker. 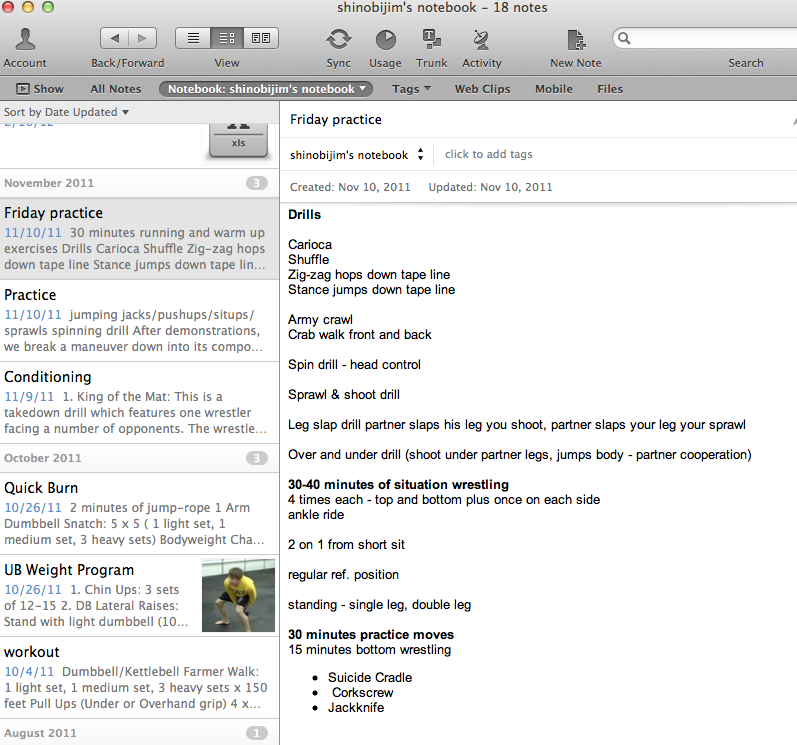 Evernote works cross platform too. The basic version, which is what we use is free. There are fee services, which provide additional storage space, and frankly, I'm not sure what else, because the free version has met my needs fine. Our Assistive Tech team uses it to keep track of student contacts. We made a "Student Template" that resides on the program. When we start a new student, we load a picture, and all the pertinent data. The A.T. Contact Notes are shared between Ashely and I. 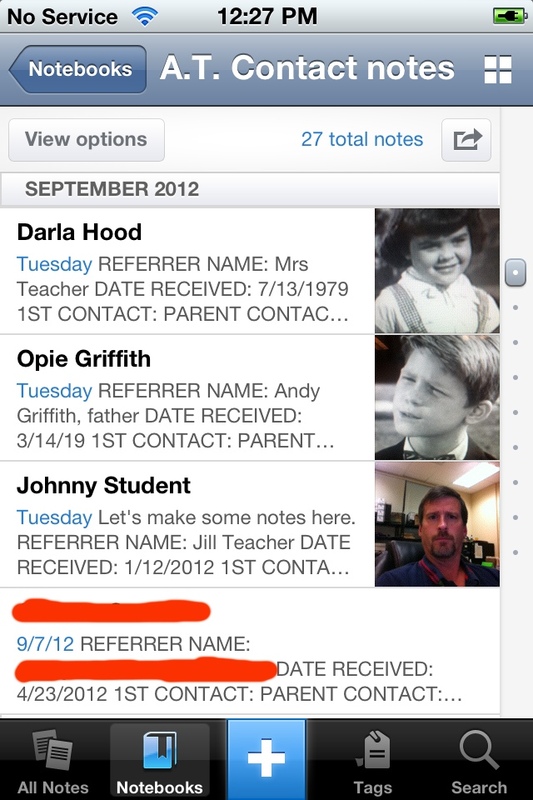 If Ashley sees a student at one school, she documents the contact, and it automatically updates to my devices as well. 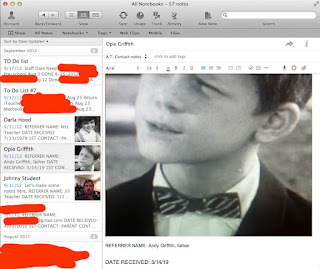 So, anytime I pull up a student, for example: Darla Hood from the Little Rascals, I see her photo, which we took and inserted into the note, as well as her recent contact with the A.T. team. I use the desktop/laptop version to do most of my writing, but really appreciate having my contact notes readily available when I want them. 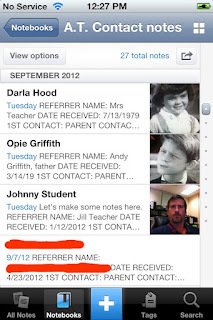 I encourage folks to keep HIPPA guidelines in mind if your keeping confidential information on Evernote. I also use Evernote to keep an inventory of wrestling workouts for the high-school team I coach. At a moments notice, I can pull out one of many standards to follow. 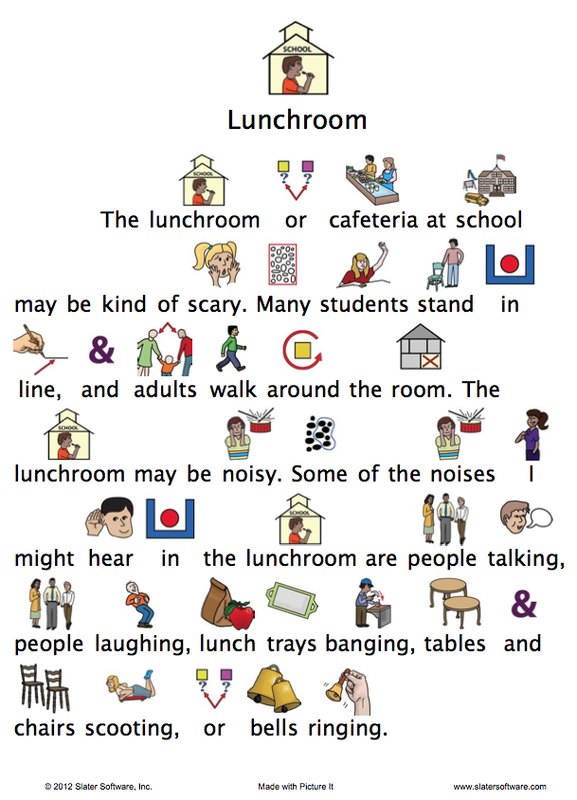 Some therapists have told me how they keep treatment tools on Evernote, including fine-motor activities, articulation pictures, and social stories. So, how do you all use Evernote? Do you use it with students? I'd love to hear your ideas! 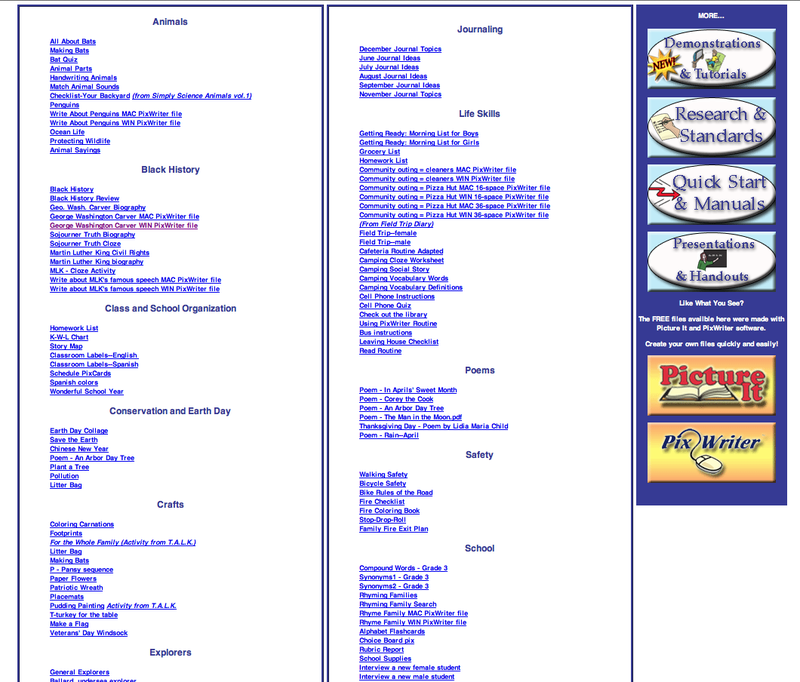 Well, I just found out that after 18 years of working to help students read and write Jim and Jean Slater, founders of Slater Software retired and closed the doors of Slater Software. Jim was a software designer, and Jean a Speech Pathologist. Conveniently, they are married, and so they had all the expertise they needed in-house! Their literacy tools were easy to use, intuitive, and highly effective. So, they've retired. That's the bad news. The good news, is that while the Slaters have retired (and I hope they are enjoying themselves), their incredible products are still being offered by Suncastle Technology. Also a good thing is that they continue to make available a number of terrific free resources, some specifically tied to their software, but much of it usable with any pdf viewer. You can find the page to the right here. For example, they have a number of free social stories such as: Drinking Fountain, Back to School, Power Outage, etc. 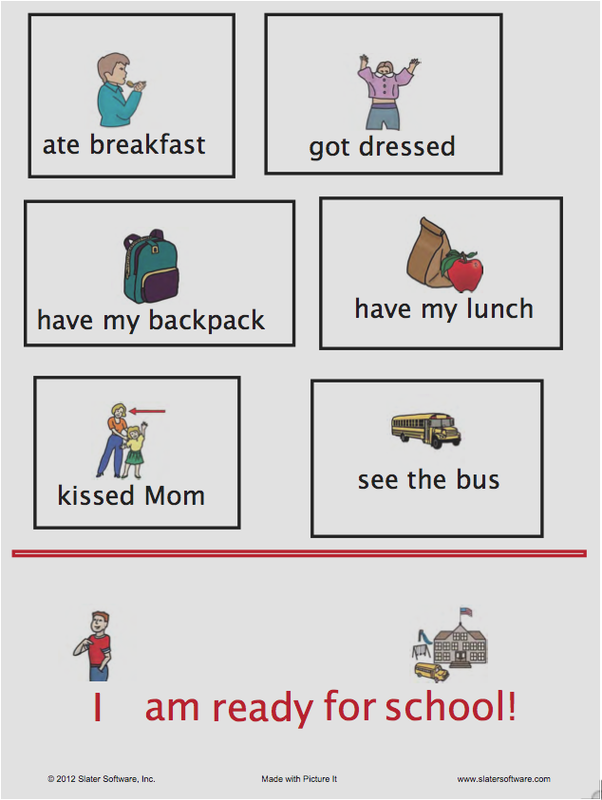 See the "Getting Ready for School" check-list to the left, or download it here. The site offers clear and practical directions for using their materials, such as here: "Print this page and cover with clear contact paper or laminate. Attach an eraseable marker with string and tape. As your child completes each task, he can mark them. Soon all his morning tasks will be completed and he can say, "I am ready for school!" Erase the marks, and he is ready for another morning's chores!" One last free-bee that I really like, and use often is the PixAide Mac widget. Download it here. Any time you need a picture symbol, enter the word, click search and ta-da! You can then drag and drop the icon onto your desktop and use it how you wish. The field of Assistive Technology and education are better for the Slater's work. In a later blog I will look more closely at Pix Writer ($99) and Picture It ($99), the two programs from Slater Software that I use most often. In the meantime, know that they use their own picture symbols, they cost less than most of competitor's products, and offer both Mac and PC versions. Many of our students struggle with the typing process; even if they are a bit too advanced for word prediction programs. When possible, training students to use a mainstream word-processor will provide users with greater versatility out in the community. 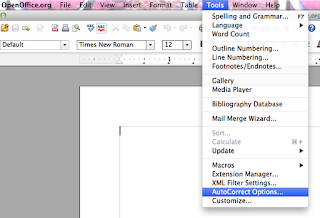 Most libraries offer Microsoft Word, Libre Office, or Open Office. One tool that I find very useful in helping students experience success while keyboarding is Auto-Correct. 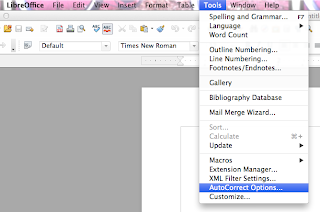 With Auto-Correct, you or the student can set-up often typed looooooong words, setting specific initials that will then convert to the full word, or even phrase. Watch the video above to see how it works. Note that the Auto-Correct is offered on all of the big word processors, under the menu "Tools". The process is pretty much identical in all of them. Getting Homework Assignments to the Home! What if you're a classroom teacher. 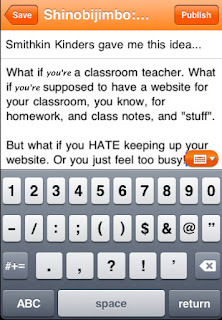 What if you're supposed to have a website for your classroom, you know, for homework, and class notes, and "stuff". But what if you HATE keeping up your website. Or you just feel too busy! If you have an iTouch, iPhone, or an iPad with a camera, this could make your life easier! Download Blogger from the app store, which is FREE. The work is setting up a Blogspot. It will take you 15-30 minutes, and a gmail account, which is also FREE. Than make certain your student's families have the address. 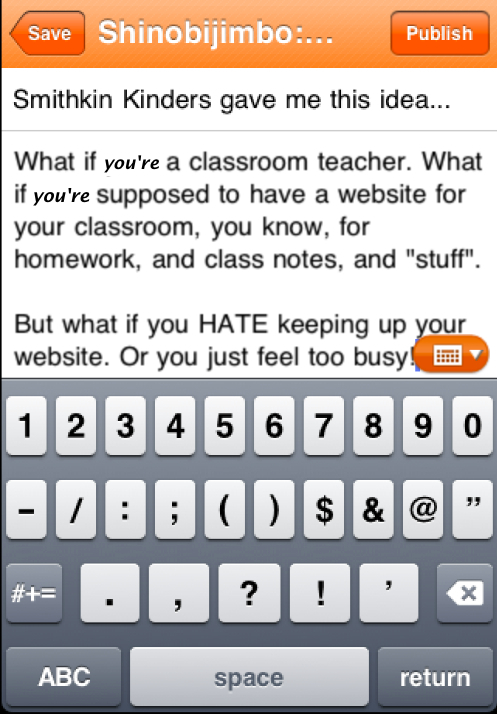 Now, any time there is homework written on the board, or classroom notes, open up the Blogger app. 1. Tap the camera icon in the bottom left corner. Take a picture of your board, and 2. hit "Publish" in the top right corner. Your photo will be published to your blog, with the date, and your students and their families can access it easily! In addition, you can easily take pictures of class projects. If any of you try this please let me know. If you try it and run into glitches, let me know that to, and I'll try to help if I can. This blog got Smithkin Kinders and I discussing what kind of success teachers have had using technology in this way... I didn't have the answer, but it certainly seemed like a great idea. Good luck, and thanks Smithkin Kinders! Time and again, educators encounter students who struggle with the decoding process of reading. The comprehension is there, they just can't get the words. Historically we've turned to books-on-tape, or more current, books-on-CD. This is a great way to help students hear literature, but it doesn't really support the acquisition of reading skills. 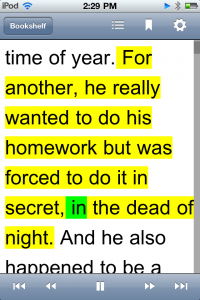 Imagine that you download a book (maybe even a NY Times Bestseller) to your computer or iDevice and the device reads the text aloud to you, while highlighting each word as it reads. This happens using Don Johnston's "Read: Outloud" on your computer (PC or Mac), or if you want portability, you use "Read2Go" for your iDevice. The folks at Bookshare are determined to bring great e-books paired with read-aloud to people with disabilities. 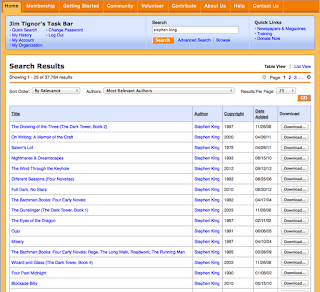 To date, Bookshare offers 161,310 titles in both fiction and nonfiction works. Bookshare is a free service if your reader has a qualifying disability. Through the service, Don Johnston's Read: Outloud is also free. Read2Go on you iDevice retails for $19.99. Read2Go on the iPad is bigger obviously, but the iTouch is really portable and discrete, especially with headphones. If your student has a disability that makes it difficult or impossible to read a printed book, she most likely will qualify for Bookshare services. To confirm that she qualifies, you, or the organization representing you, will be asked to provide your Proof of Disability (certified by a qualified professional) during the registration process. 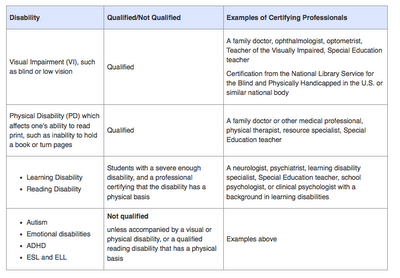 The table titled "Eligibility" provides guidelines for determining what qualifies as a print disability. 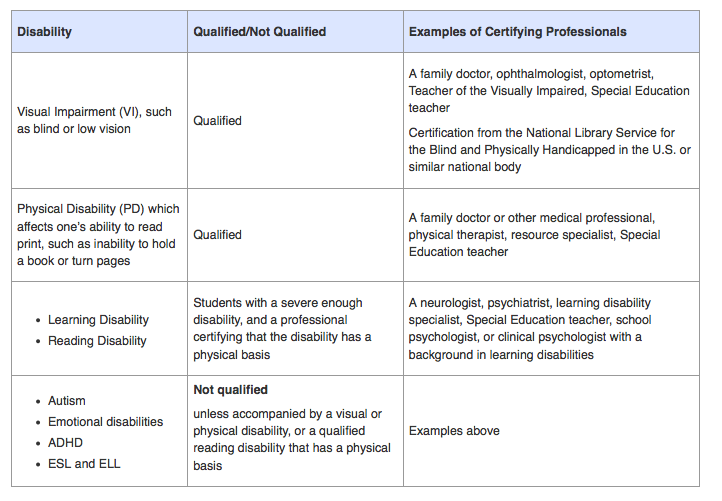 It also lists examples of professionals qualified to make this assessment. Information regarding Membership Options can be found here. 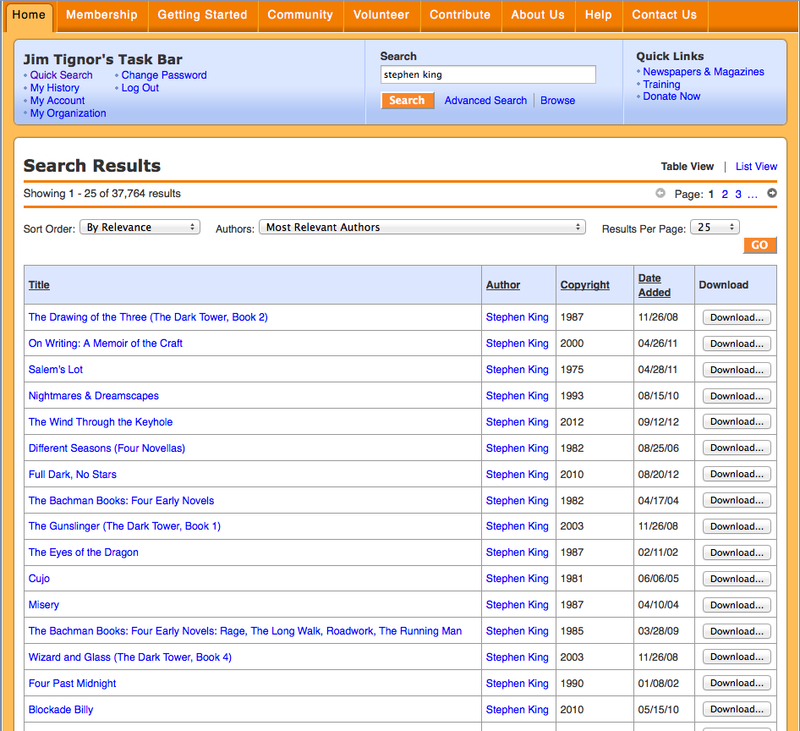 If you are a teacher, it may make sense to have one person at your school get a membership and "manage" your readers. It's really pretty simple, and an incredible service. One last note, the folks at Don Johnston have compiled a body of research that supports the efficacy of pairing reading instruction and technology. Check it out here. Nothing like "evidenced-based teaching"! This image came from http://imgur.com/iL1MR. That's all. I don't have anything clever to say about it, I was simply amused! Okay, so I don't know anything about Ashford University. But, I love this commercial! My youngest son, Ben, and I have become intermittent geo-cachers. It's a great way for he and I to spend some time together, get some exercise, and be outdoors. In addition, both of us are kind'a technology nerds (you may have noticed that about me). Lets just say, the apple didn't fall far from the tree! Geo-caching allows us to merge our love of the outdoors, hiking, and technology. The good folks at Geocaching.com state that "Geocaching is a free real-world outdoor treasure hunt. Players try to locate hidden containers, called geocaches, using a smartphone or GPS and can then share their experiences online." More specifically, people go into the woods, suburbs, and cities and hide water-proof containers (ammo boxes, all the way down to little match boxes) with a notebook to sign when and who found it, and sometimes prizes. The cache location is then uploaded to Geocaching.com with the exact coordinates, and other pertinent details. Than people like Ben and I can access those same coordinates at a later date from the website or specific apps and find those hidden sites. So it's a treasure hunt of sorts with a bit of technology thrown in! 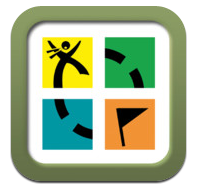 We use the Geocaching app on my iPhone which is available for $9.99. This may seem like kind of a step price until you get a sense of all the app offers. According to the developers, this app accesses "exclusive coordinates and detailed information for nearly 2 million hidden geocache containers across the globe". 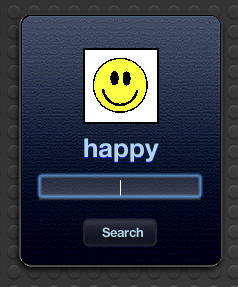 Once you create an account and log into your Geocaching app, the page to the right is what you will be presented with. Note my name, and below that my current coordinates. Finding a nearby cache is as simple as pressing the blue rectangle button in the center "Find Nearby Geocaches". The page to the left shows me nearby caches. The top of each listing gives me the name. Below that is a starred likert scale for both the difficulty and the terrain. In addition there is another likert scale for the size of the cache. Finally there is the general direction the cache is from where the user is standing, as well as the distance. In this instance, we clicked onto "Lighting the Way to the ATM", the top cache on the above image. The image on the right shows the map. The blue dot, flashes, and it represents the person. The green symbol is the cache. This particular cache was in a small business district, and we found the cache while enjoying 5-Guys Burgers. So, there really was no significant planning. One resource you can look at in the app on the called "Attributes". This is a really useful bit of info, telling you what you might consider in going on this hunt. For example, to the left, you can bring your dogs, it is recommended for kids, should take less than an hour, it's available at all times, etc... Even telling you if it's wheelchair accessible, or near public transportation. Thinking therapy applications now! Let's learn to use the bus system AND go on a treasure hunt! One other function is the ability to keep logs of your hunt. You can post whether or not you found the cache, take pictures, and send it all to the Geocaching website if you choose. Ben and I have a few caches that we did not find, but we intend to go back! Once you've purchased the app, using the service is free of charge. This fact, blows me away! So, now you too can geocache, get outdoors, in the wilderness or your town and search for treasures. Eventually, Ben and I plan to hide a few of our own geocaches. Drop Box is da' Bomb! Occupational Therapists! You're itinerant... you are at a school that is not your base school and you need that Eval form. Dang! You left it in your office. Speech Therapists! You're itinerant... you are at a school that is not your base school and you need those picture cues you use for that artic' lesson you like (apologies SLP's if that's not quite what you do). Dang! You left them in your office. Parents! You're definitely itinerant! You are at work and your spouse needs that form you have with you... Dang! Students! You're using your iTouch to take pictures of your home work. Your parents are soooo demanding, and they want to see it too. Dang! No worries. OTs, SLPs, Parents, and Students... OT's you keep such necessary documents on your Drop Box account. SLP's you do the same with these commonly used treatment pics. Parents, you can take a pic of the form with your phone, and push that form up to Drop Box. Students, take a photo from the whiteboard, and upload it to Drop Box. Now your parents can see it, and you can view it at home on the family computer. 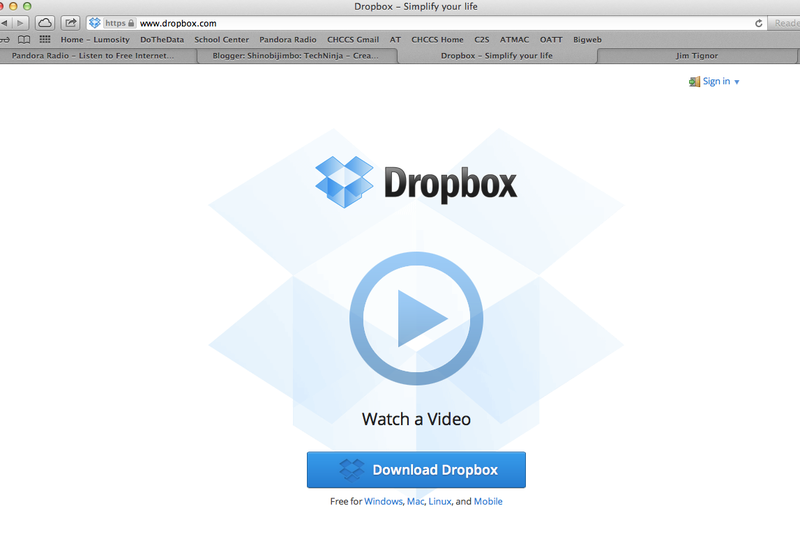 According to the developers; "Dropbox is a free service that lets you bring all your photos, docs, and videos anywhere. This means that any file you save to your Dropbox will automatically save to all your computers, phones, [iPads, iTouches,] and even the Dropbox website", incase your not on one of your devices but still need to access something. Dropbox delivers! Many of our staff and students across the school district are using it. Personally I have loaded it on my iPad, iPhone, Macbook, and home desktop, my wife's iPhone and laptop, and my two son's iPhones. Yes, we drank the "Apple Koolaide". But at a moment's notice, I can share a Social Security card with any member of my family. Or any other document. Dropbox is password protected, and for 2 GB of space, it's free. So. 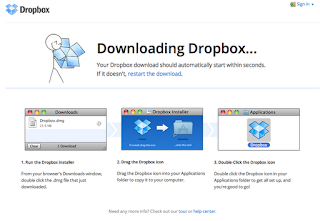 How to get Dropbox. The easiest way is to use your laptop or desktop first. Go to Dropbox.com. The page on the right, is the page you will get, whether your on a PC, or a Mac. 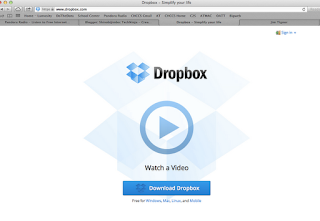 There is an excellent video right on the first page that will tell all about Dropbox, and the ins and outs of using it. On this same page is the "Download Dropbox" button. It's big and blue. You can't miss it. 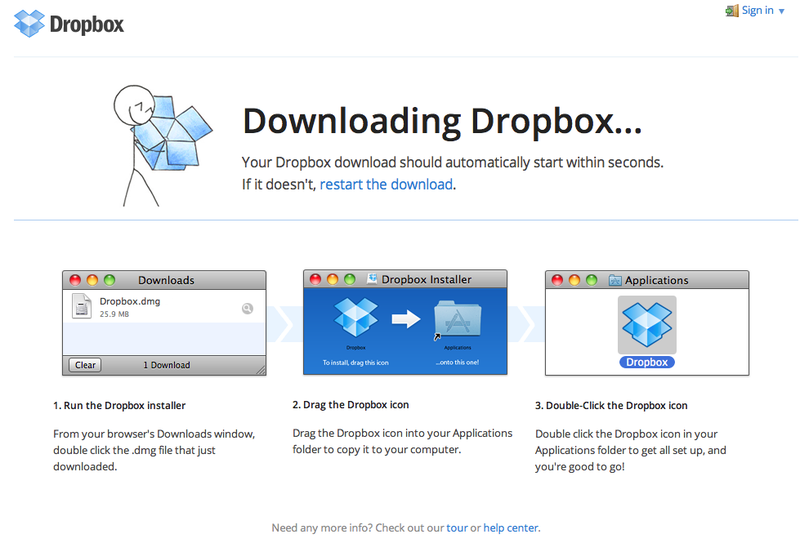 Download Dropbox, install it, and follow the directions. The directions are so user friendly, I really can't improve on them! When installing, you will be given three choices of storage. As I stated above, the 2 GB is free. That has been sufficient for my uses. Afterwards, load the software again on all your other computers, and then get the app for your iDevice or Droid phones. The apps are free as well. You will log into those devices using your same username and password as you do with the laptop/desktop software. 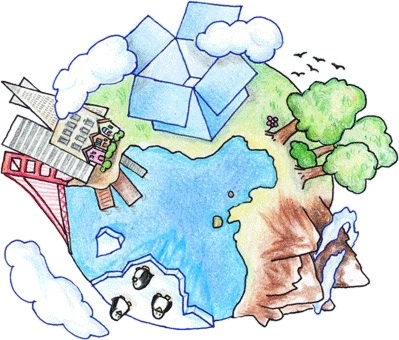 I'd love to hear how others are using Dropbox in teaching, therapy, or just life. 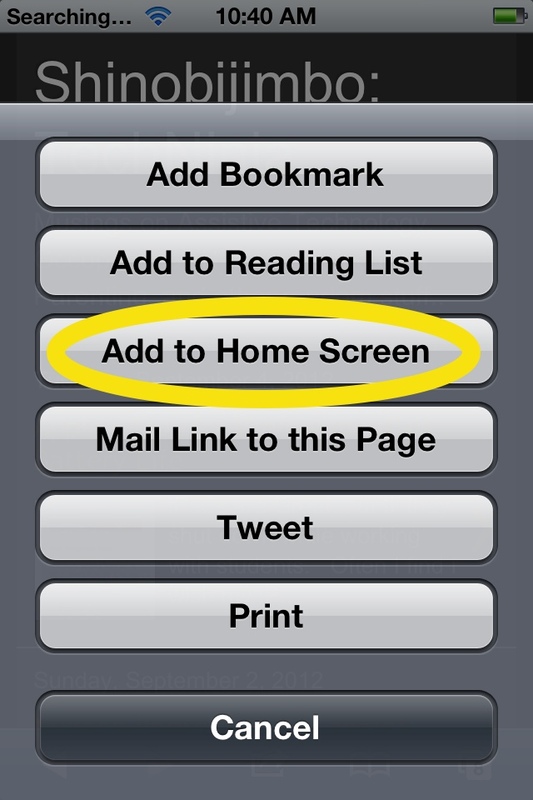 Disable the Home-Button on your iDevice! Okay, so if you've worked with students using an iDevice, you've had the experience of them hitting the home button to "explore" before you were done with the lesson. Oftentimes undoing whatever progress they were making. Very frustrating, and thus creating our Love/Hate relationship with the "home" button! There are some physical solutions. Such as the BubCap Home Button Cover. To be honest I've not used one yet. Seems like a good intervention, and at $6.99 for an intro-pack with 2 BubCaps and 2 BubCaps Ultra, fairly inexpensive! BubCaps apply like a sticker, and are removable and reusable. Reviews are generally pretty positive for the BubCap, and so this may be the way to go for many of us. However, if you'd like a solution that doesn't require another object in your therapy/teaching tool bag (albeit a very small object), here is another solution that is pretty slick. Install a user profile. Clicking on the link below, with the browser on your iDevice will allow you to instantly download a user profile that locks you into the first app you open. CAUTION: DON'T INSTALL THIS UNLESS YOU FEEL CONFIDENT REMOVING IT! Let's walk through how this works, and I think you should get to the place where you will be confident! 2. Browse to this amazing blog your reading! 3. Click on the "HOME LOCK" link below. 5. Your iPad will open your Settings, and you will be presented with the screen to the right. 9. Now when you turn it on, the very first app you open will be stuck open! The home button is disabled. 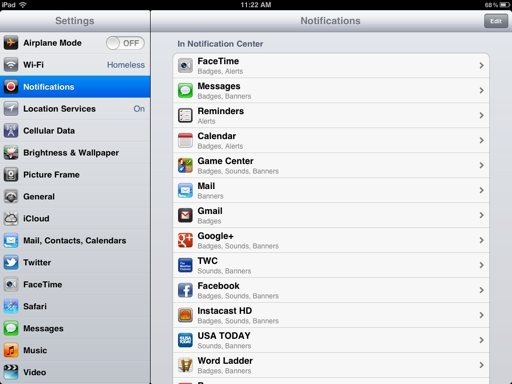 If you want to switch apps, you will have to shut the iPad all the way off, and restart. The next app you open will be stuck open. This may be a little cumbersome, but it's a sure fire method to stay in the app of your choosing! Now, your done with the student, and want to unlock the home button. Follow the procedure below. 7. Turn your iPad off and on, and you should be back to "normal". One last trick to make this a bit more convenient. Open your iPad browser back to my blog here. Click on the arrow in the bottom middle of the browser window, and choose "Add to Home Screen". Now you have a short-cut on your iPad desktop that will bring you back to this app profile easily whenever you want to do a quick install for therapy! This incredibly wonderful bit of code comes from Joris Kluivers, my new hero in software writing. He makes it available for free on his interesting technical blog. iPads are Great... until they shut down while working with students. Often I find I wish my iPad would run just a little longer! Well, there are ways to make this happen with just a few considerations. See Apple's tips on battery preservation. This is information taken from the Apple website. Paying attention to just a few common sense pointers will pay off with a longer battery lifespan and battery life for your iPad. The most important thing is to keep your iPad out of the sun or a hot car (including not leaving it locked up in a hot trunk during summer). Heat will degrade your battery’s performance the most. iPad Temperate Zone. 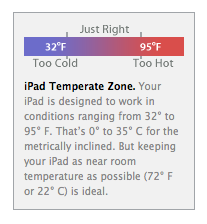 Your iPad is designed to work in conditions ranging from 32° to 95° F. That’s 0° to 35° C for the metrically inclined. But keeping your iPad as near room temperature as possible (72° F or 22° C) is ideal. 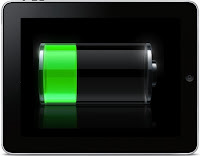 “Battery life” means the time your iPad will run before it must be recharged. “Battery lifespan” means the total amount of time your battery will last before it may need to be replaced. Battery lifespan is based on the number of charge/discharge cycles your battery is capable of to retain more than 80% of its original capacity. Always make sure your iPad has the latest software. Apple engineers may find new ways to optimize battery performance. Using iTunes 9.1 or later, you can update your iPad with the latest software. Connect your iPad to your computer, then select iPad in the Source List. In the Summary pane, click “Check for Updates” to see if there’s a new version of the iPad software available. Click Update to install the latest version. There are a number of iPad settings you can adjust to minimize power consumption and extend battery life, including screen brightness. These tips may help extend your battery life. way to extend iPad battery life. By default, your iPad has Auto-Brightness turned On. Auto-Brightness adjusts iPad screen brightness based on ambient lighting conditions; lowering brightness in low light conditions helps to extend battery life. You can adjust brightness yourself; go to Settings > Brightness & Wallpaper and drag the slider to the left to lower the default screen brightness. Manage the use of downloaded applications: Use of certain applications, such as games that prevent the screen from dimming or shutting off or applications that use location services, can reduce battery life. Turn off Wi-Fi: If you know you’re not going to be using Wi-Fi, you can turn it off to save power. Go to Settings > Wi-Fi and set Wi-Fi to Off. Note that if you have iPad with Wi-Fi + 3G and use it to browse the web, battery life may be improved by using Wi-Fi instead of cellular data networks. 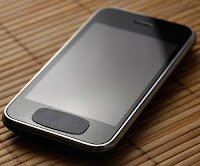 Turn off 3G (Wi-Fi + 3G model): Using 3G cellular networks when you’re out of range of Wi-Fi connectivity allows you to stay in touch but may also decrease battery life, especially in areas with limited 3G coverage. 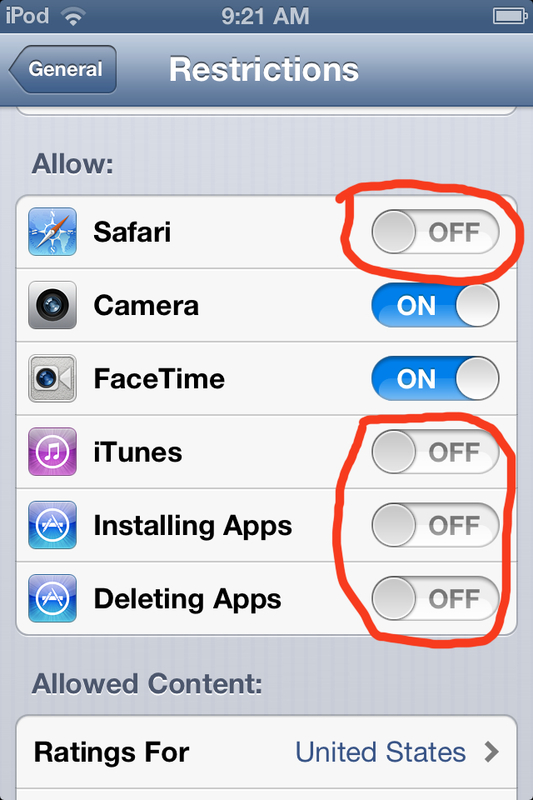 To disable 3G, from the Home screen choose Settings > Cellular and set Cellular Data to Off. Note: You will no longer be able to send or receive data via a cellular data network. Use Airplane Mode (Wi-Fi + 3G model) in low- or no-coverage areas: Because your iPad always tries to maintain a connection with a Wi-Fi network or 3G data network (Wi-Fi + 3G model), it may use more power in low- or no-coverage areas. Turning on Airplane Mode can increase battery life in these situations. To turn on Airplane Mode, go to Settings and set Airplane Mode to On. Turn off push notifications: Some applications from the App Store use the Apple Push Notification service to alert you of new data. Applications that rely extensively on push notifications (such as instant messaging applications) may decrease battery life. 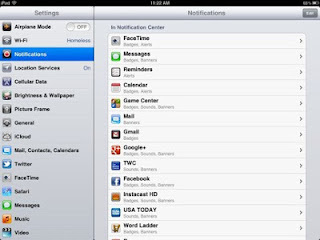 To disable push notifications, go to Settings > Notifications and set Notifications to Off. Note that this does not prevent new data from being received when the application is opened. Also, the Notifications setting will not be visible if you do not have any applications installed that support push notifications. Fetch new data less frequently: Applications such as Mail can be set to fetch data wirelessly at specific intervals. The more frequently email or other data is fetched, the quicker your battery may drain. To fetch new data manually, from the Home screen choose Settings > Mail, Contacts, Calendars > Fetch New Data and tap Manually. To increase the fetch interval, go to Settings > Mail, Contacts, Calendars > Fetch New Data and tap Hourly. Note that this is a global setting and applies to all applications that do not support push services. Turn off push mail: If you have a push mail account such as Yahoo! or Microsoft Exchange, turn off push when you don’t need it. Go to Settings > Mail, Contacts, Calendars > Fetch New Data and set Push to Off. Messages sent to your push email accounts will now be received on your phone based on the global Fetch setting rather than as they arrive. If the global Fetch setting is set to Manually, you will not be able to locate your iPad using the Find My iPad feature. Auto-check fewer email accounts: You can save power by checking fewer email accounts. This can be accomplished by turning off an email account or by deleting it. 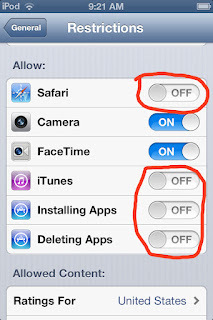 To turn off an account, go to Settings > Mail, Contacts, Calendars, choose an email account, and set Account to Off. To remove an account, go to Settings > Mail, Contacts, Calendars, choose an email account, and tap Delete Account. It may seem obvious, but you should lock your iPad when you aren’t using it. 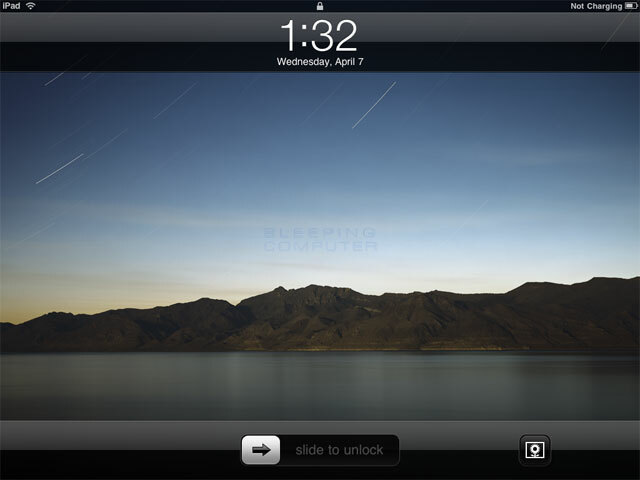 To lock iPad, press the Sleep/Wake button. 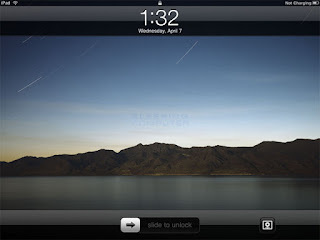 You can also set the Auto-Lock interval so your iPad will turn off more quickly after a period of inactivity. To set Auto-Lock, go to Settings > General > Auto-Lock and set the interval to a short time, such as 1 minute. For proper reporting of the battery’s state of charge, be sure to go through at least one charge cycle per month (charging the battery to 100% and then completely running it down). All battery claims depend on network configuration and many other factors; actual results will vary. Rechargeable batteries have a limited number of charge cycles and may eventually need to be replaced by an Apple service provider. Testing conducted by Apple in February 2011 using preproduction iPad 2 units and software. Testing consisted of full battery discharge while performing each of the following tasks: video playback, audio playback, and Internet browsing using Wi-Fi or 3G. Video content was a repeated 2-hour 23-minute movie purchased from the iTunes Store. Audio content was a playlist of 358 unique songs, consisting of a combination of songs imported from CDs using iTunes (128-Kbps AAC encoding) and songs purchased from the iTunes Store (256-Kbps AAC encoding). Internet over Wi-Fi and 3G tests were conducted using dedicated web and mail servers, browsing snapshot versions of 20 popular web pages, and receiving mail once an hour. 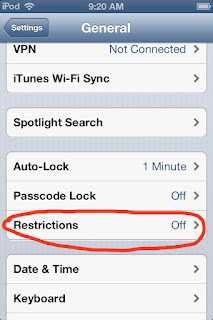 All settings were default except: Wi-Fi was associated with a network (except for Internet browsing over 3G); the Wi-Fi feature Ask to Join Networks and Auto-Brightness were turned off. Battery life depends on device settings, usage, and many other factors. Battery tests are conducted using specific iPad 2 units; actual results may vary. Charge cycles vary by use, environment, settings, configuration, and many other factors. Wow! This is a cool app! PaperPort Notes... maybe one of my new favorites! 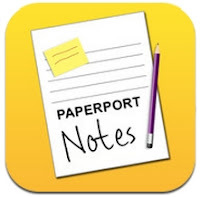 Early on in the world of iPads, I was a fan of Notarize. 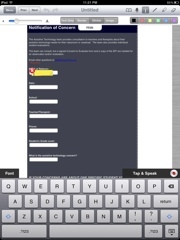 It allowed me to capture PDF's and enter text into the form on my iPad. 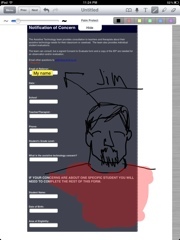 I could even take a picture from the web, or with the introduction of the iPad-2 take a snapshot of a student's test. Using Notarize we could enter text easily. Unfortunately, the company that made Notarize quit making it. So, while I still have it, I was unable to provide it for students. Well, that's no longer an issue! The smart folks at Nuance, makers of Dragon Dictate and Mac-Speech have acquired Notarize, renaming it PaperPort Notes, and making it even better! All the bells and whistles from the original app are present. Now though, they have included a built in web-browser, with the ability to take "web-shots". Even more impressive though is the ability to insert a text box, and instead of typing your answer, dictate it. It works really well! There is a nicely designed help feature that pops up whenever your doing something for the first time. Or, if you prefer, you can download the user guide, and read it in the app itself. 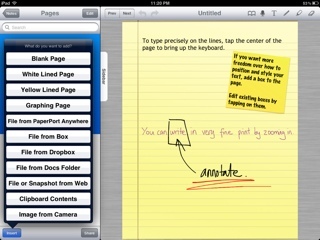 Notes can be shared in PDF format, and can be password-protected. There is also the ability to write free-hand, or add drawings as necessary. Also nice is the price... Free. So once again, kudos to Nuance!